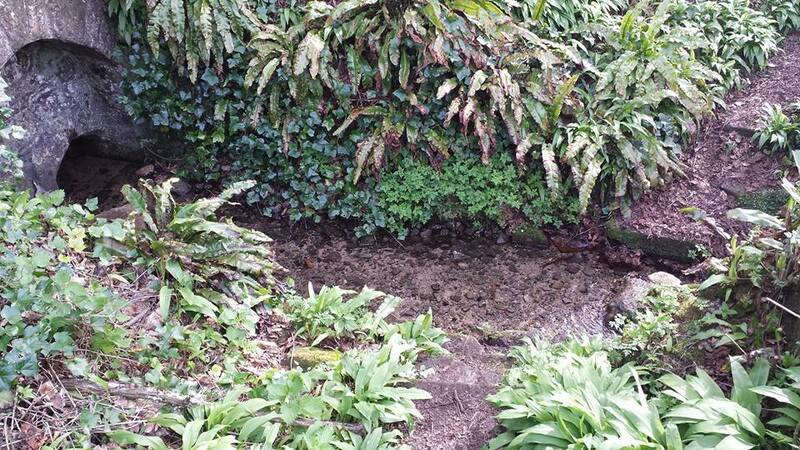 “a fine spring of excellent water, enclosed in a recess in an old wall, and which to this day is called St Adhelm’s well”. William of Malmesbury tells us that St Aldhelm died at Doulting, where the church is dedicated to him, and William of Malmesbury describes his cult here in the Deeds of the Bishops of England, 1120s. 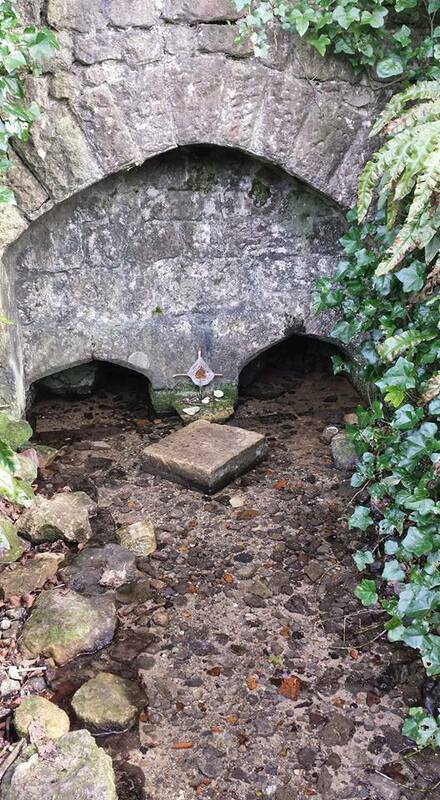 However, he does not make reference to a well and as he shows interest in where the saint’s name is remembered it appears likely here were not any traditions at the time at the well. He is well known to write poetry but probably not as Caroline Sherwood in her 1994 piece for Source, the Divine Juggler of Doulting stand in the cold water and entertain his visitors juggling! 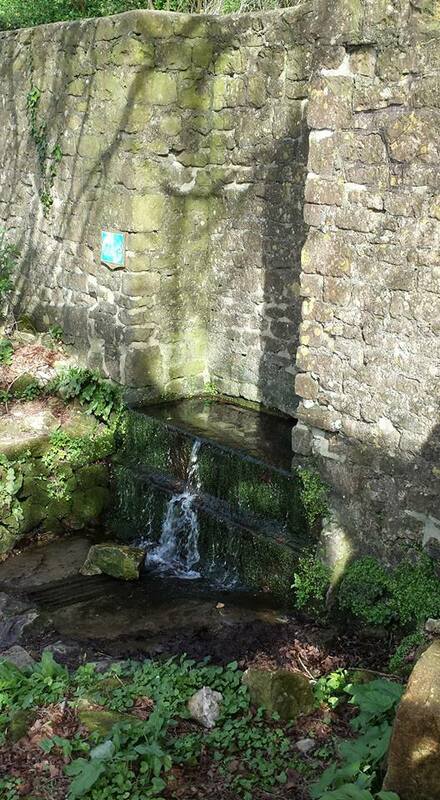 ‘a spring… darts under cover of an arch; then it tumbles headlong over some descent… I have heard of a late learned divine, who was in the habit of walking thither from Shepton, regularly every morning, for the purpose of bathing his eyes, and whose sight was said to have been much benefited thereby’. 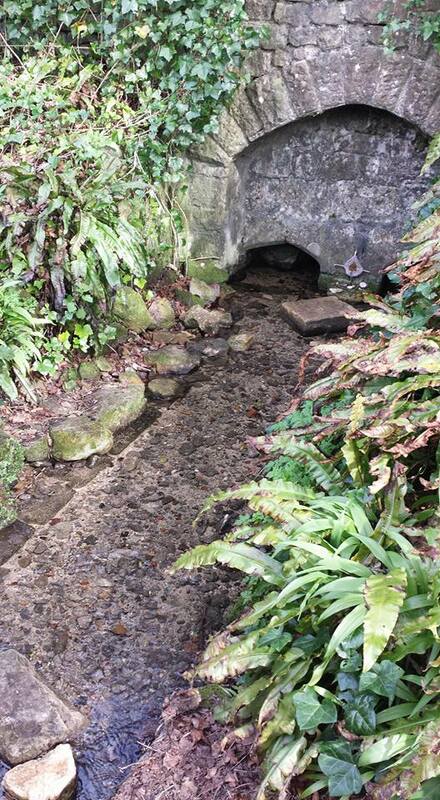 ‘The ground about it is strewn with dressed and well-cut stone… The water comes out under two solidly made arches… In front of these arches, a long channel or trough, originally lined with dressed stone, extends for some yards’. “were probably confined to a few additional courses of stonework, on the top of which sat a cross and two finials. They can be seen in two photographs taken c.1929 but all this superstructure was later removed”.